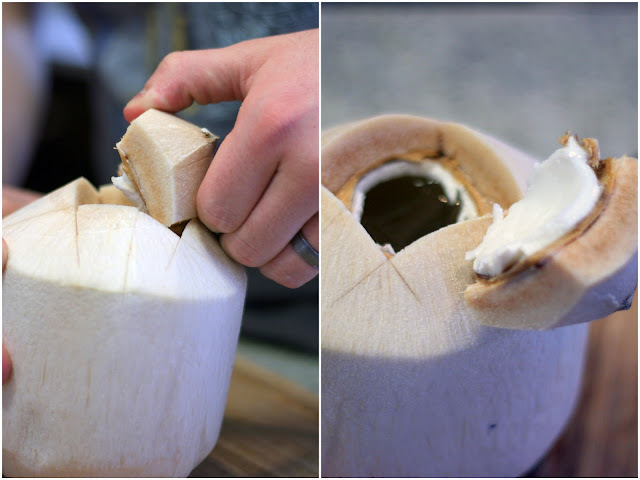 Today's post is about how we make coconut milk! 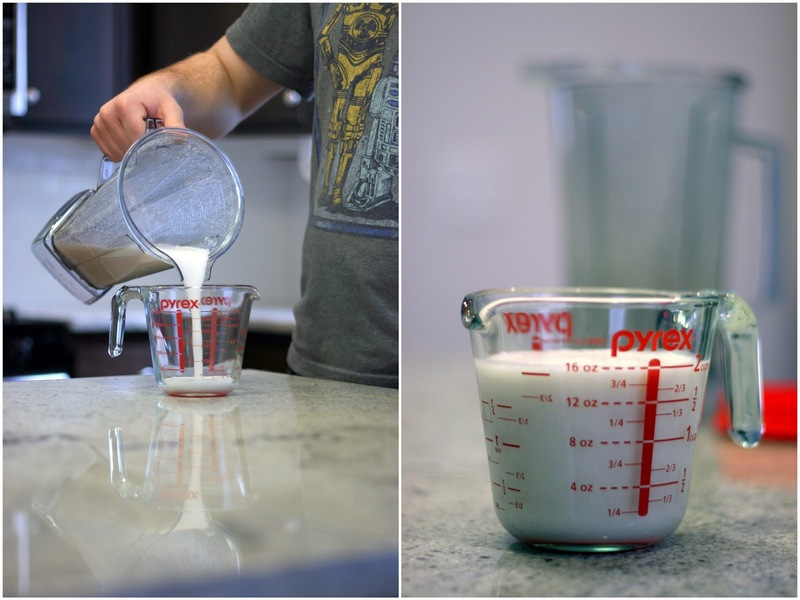 I've seen all kinds of tutorials around and they almost always involve boiling coconut, or even pre-packaged coconut flakes, and then straining through a cheesecloth or nutmilk bag, but I say there's a better way! I've been making coconut milk this way for a while now and it's seriously the most delicious thing around. Get a good, solid grip on the knife, line up your swing, and then use the momentum of your arm to hack to one side of the peak. This might seem a little scary, but you don't need to put all your weight into it. Do a couple of medium level chops and you'll start to get the feel for how hard you'll need to go. Your goal here is to break through the shell, not just cut the fibrous outer part. After the first cut, rotate 90 degrees and repeat. 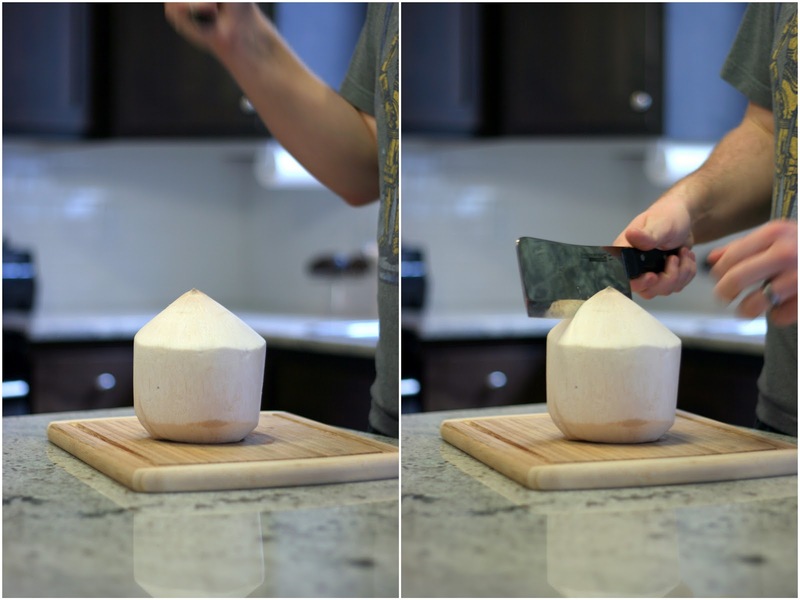 Do this until you've done 4 cuts around the top of the coconut. Now, if you've gotten through the shell on all side you should be able to remove the top and expose the inside of the coconut. This can take a little bit of effort, and remember it's full of liquid, so keep it stable. 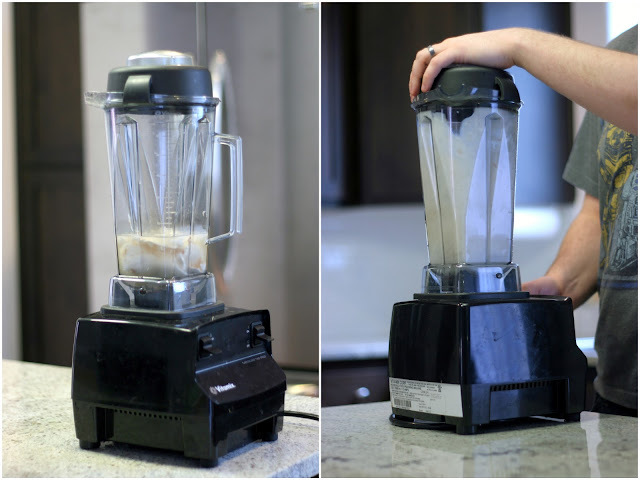 Once you've got it open, pour the water off into your blender. Here's where it gets fun. 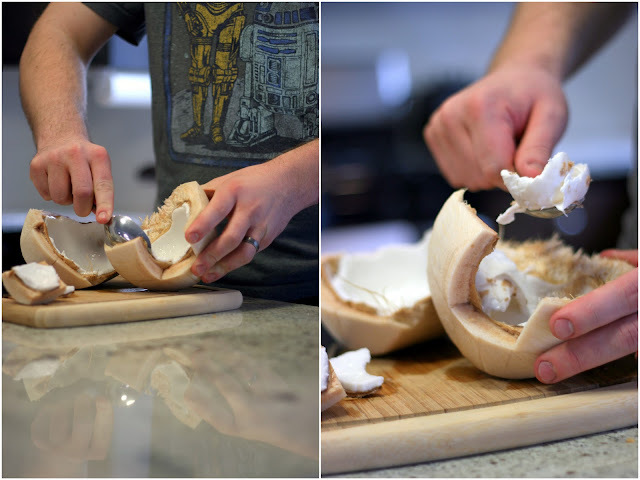 You've got to get the coconut open so you can easily scoop out the meat. Place the coconut on its side and hack into it. This might take a few tries before it's open enough for you to pull it apart. I usually use my powerful viking war cry to get it apart, but if it's too tough, just give it another few whacks to open it up further. Put it all in the blender and blend it until it's smooth. Pour into a container and enjoy! 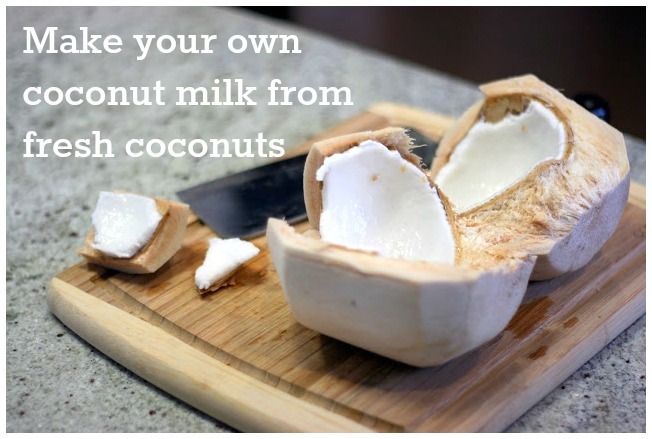 If you love cooking with coconut milk, and getting all that healthy fat, definitely consider giving this a try. It's so rich and sweet and good it's ridiculous. It's a pretty simple method, and once you get the hang of getting the coconut open it's well worth the time. Very cool! I might try this IF I can get past my fear of whacking a finger off! this looks great! 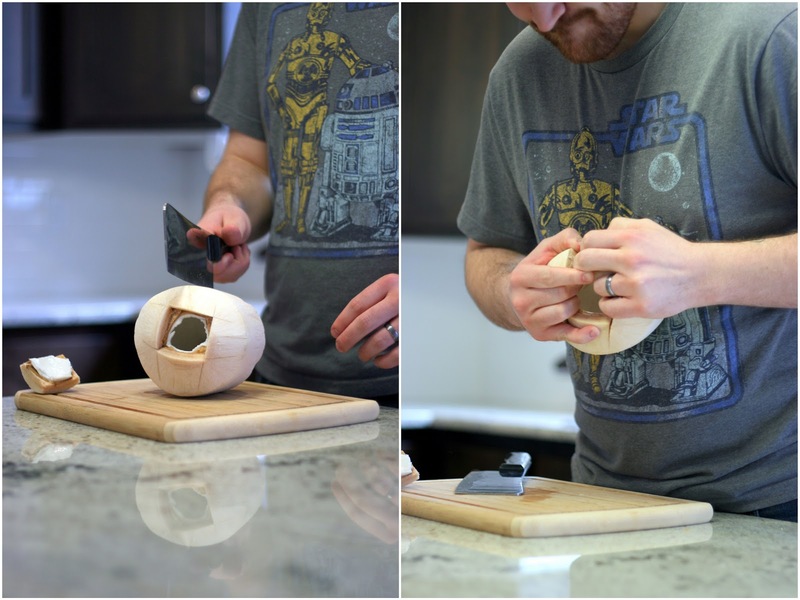 and obviously the viking war cry is needed to bust the coconut open! Where is the best place to buy a young coconut? How can you tell the difference between a mature one and a young one? I find them at any Whole Foods, natural food store or asian market. A lot of regular grocery stores are starting to get them as well. You can tell a sweet young coconut by the white, fibrous husk still being attached. The standard brown, hard coconuts are the fully matured ones, and the nut has been removed from the outer layers of the plant. Haha, yeah it can be a little nerve wracking at first, but it really doesn't take THAT much force. I keep my other hand back away from it when I do this so there's very little risk. They balance well on their bottom so it's actually fairly sturdy!